A bot for sending memes on request to users in different messaging apps. Sends a different meme each time. 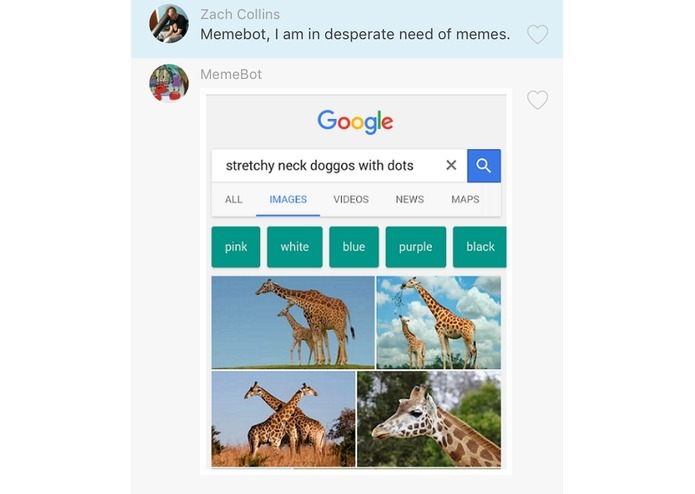 A bot for sending memes on request to users in different messaging apps. Created at Revolution UC 2016. The bot is built in django, and uses python to access reddit, find memes, and reply to requests with memes. Clone this repository into a directory of your choosing. 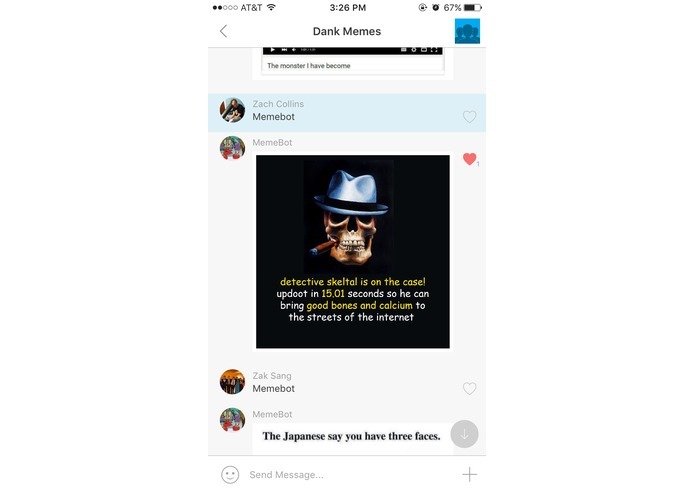 Go to http://dev.groupme.com and login using your groupme username. Pick a group, name your bot, and provide a callback url to the url you specified above. 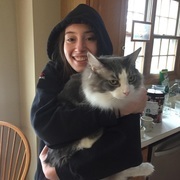 You can provide an image if you so choose. Your server will now interpret messages for every bot you specified in Bots/GroupMeBots.txt. I created the script to search Reddit for memes, and download the images from Imgur. I worked on the database.py file that helped to maintain a bank of meme objects stored as a json file. This bank was responsible for storing and organizing the memes and which ones to return.